If you’re looking for a cozy hideaway to spend a relaxed evening in Luxembourg City, Café des Artistes is the place to head to! 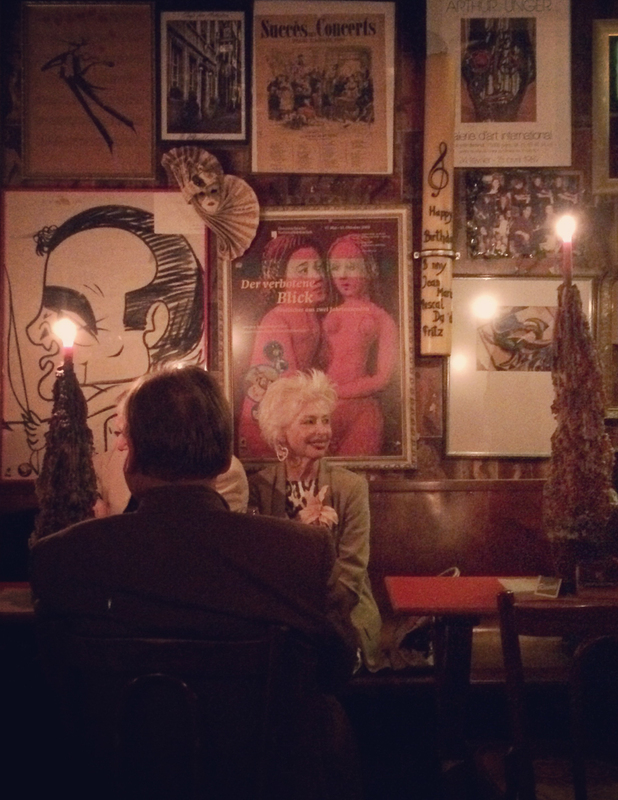 The red-painted walls are covered in eclectic paintings and theatre posters, while huge candles stuck in wine bottles are slowly dripping down You’re sure to encounter regular locals here, who have spent many a night in this charming dive. Don’t be surprised when the whole bistro bursts out into song: Fernande hits the piano Thursday, Friday and Saturday nights, playing classic Luxembourg and French songs to which everyone is welcome to sing along to. We filmed at Café des Artistes for the Bistro episode of my show.